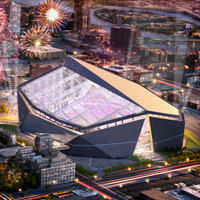 This concept was one of two submitted by HKS Architects in the competition for new Minnesota Vikings Stadium in Minneapolis. 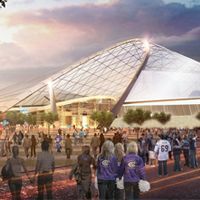 The venue expected to replace Metrodome by mid-2016 may look significantly different, however, as detailed project works are undergoing. 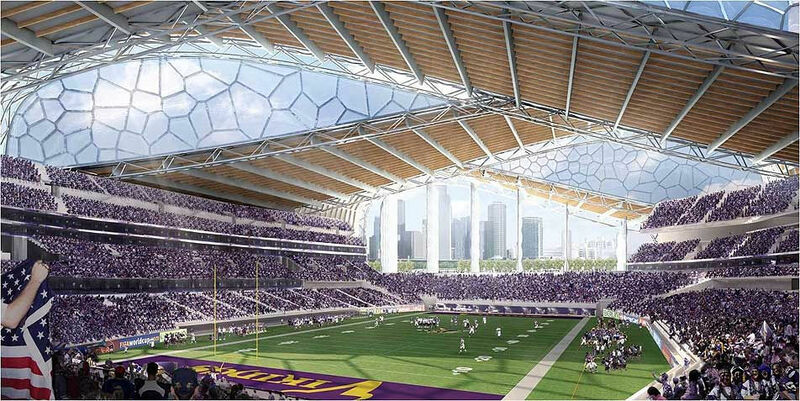 It was due in March, later postponed until April. 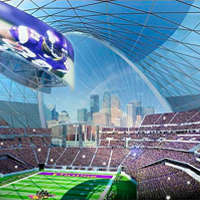 but work on final design of the Vikings Stadium is still ongoing. 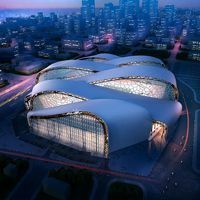 Final deadline for official presentation is now May 13. 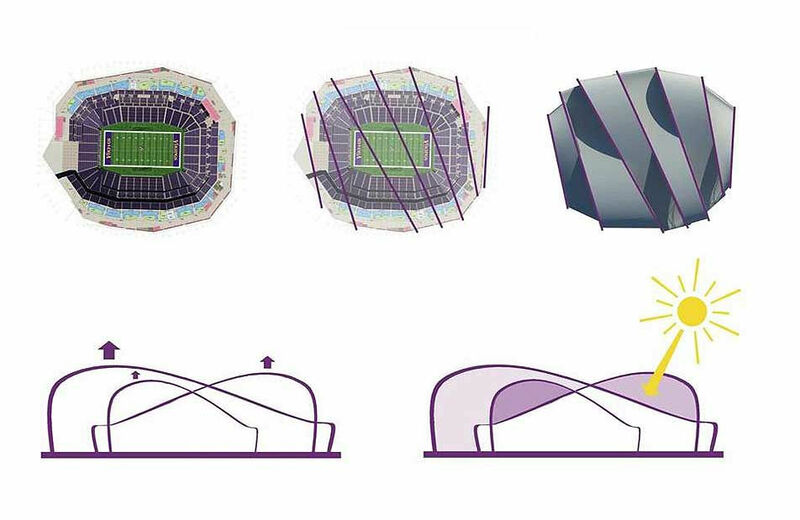 New stadium is said to have an open feel to it. 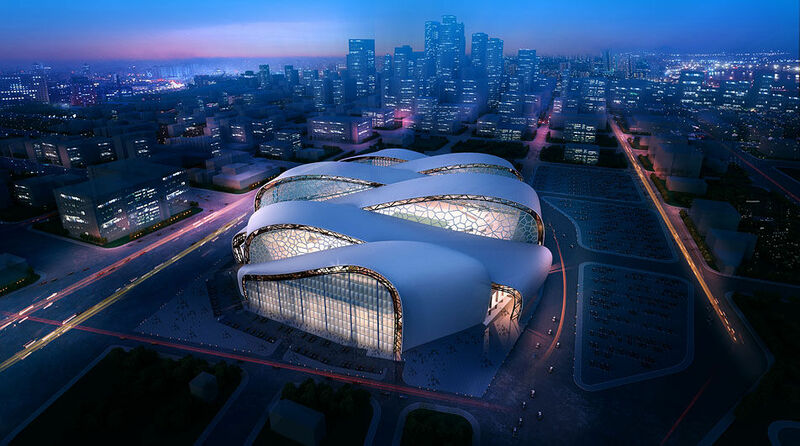 Public company organising the tender for a $975-million stadium was to announce the contractor's name yesterday. But instead, they only narrowed it to two firms, declaring final selection in a few days, postbulletin.com reads.